In recent years, increased attention to health and wellness in the U.S. has brought greater focus to nutrition planning in schools. In recent years, increased attention to health and wellness in the U.S. has brought greater focus to nutrition planning in schools. This movement was aided by First Lady Michelle Obama’s Let’s Move! initiative launched on February 9, 2010. This ambitious movement is built upon commitment to raising a healthier generation of kids by tackling the challenge of childhood obesity. Almost a year later, on January 25, 2011, the U.S. Department of Agriculture (USDA) issued a ruling for updates to school nutrition programs. No such ruling had been made related to school meal standards in more than 15 years. Though there’s still undoubtedly room for improvement in school nutrition programs, the USDA’s latest revisions mark great strides. Updated lunch standards, which went into full effect in the 2012-13 school year, are critical to the nation in terms of the scope of the National School Lunch Program (NSLP). In Fiscal Year 2012, the NSLP served more than 31.6 million children at a cost of $11.6 billion. Updated breakfast standards are on a three-year implementation schedule with the upcoming 2014-15 academic year as the deadline. The following is a brief outline of the current school nutritional guidelines. 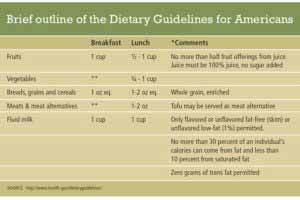 These align with the Dietary Guidelines for Americans, which is jointly published by the USDA and the Department of Health and Human Services (HHS) every five years. The USDA’s revisions to school standards adopted a specific emphasis on increasing the amount and variety of fruits and vegetables—an important adjustment in exposing children to new and different foods that benefit them nutritionally. 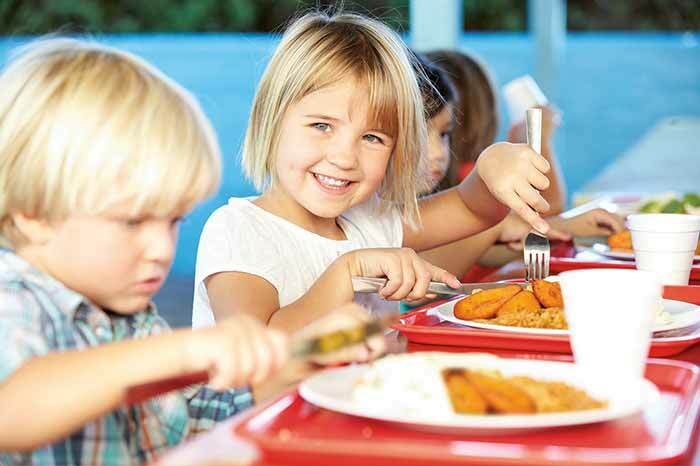 These new standards also established planning requirements according to age/grade groups, ensuring that students are receiving age-appropriate meals consistent with their nutritional needs as they grow and develop. Because one of the most significant challenges in the schools nutrition program is getting the kids to eat more vegetables, finding options that meet the new guidelines and taste good is crucial. Pre-cooked ripe plantain slices are a popular starchy vegetable option served by many school districts around the country because kids love the way they taste, and they are 100% natural, trans fat-free, gluten-free, cholesterol-free and a good source of Potassium and Vitamin A. To learn more about sweet plantain slices and other delicious quality products that children love to eat, visit www.micfood.com.